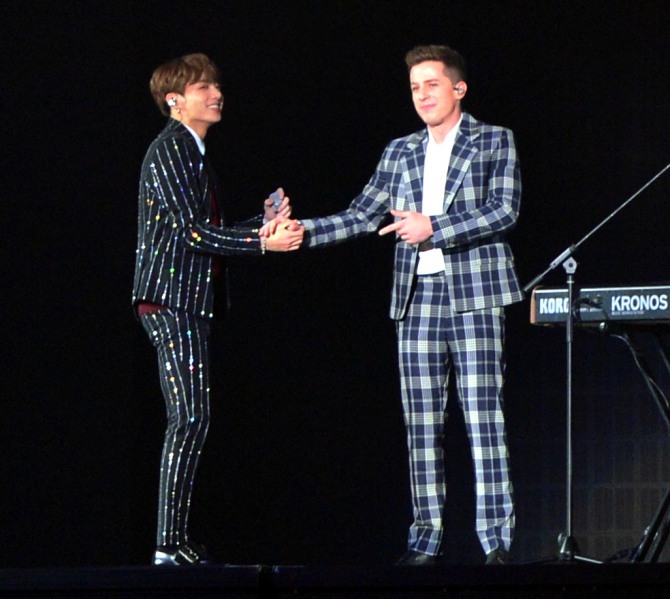 BTS and Charlie Puth had their long-awaited first encounter in teaming up at K-pop’s MGA awards. 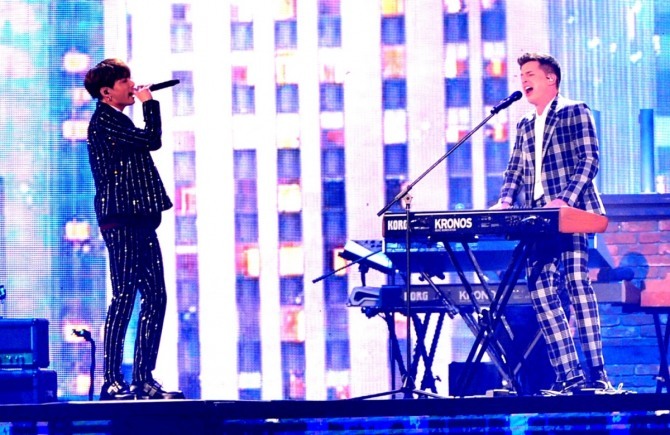 The highly anticipated show, jointly organized by broadcaster MBC Plus and online music store Genie Music and held at Namdong Gymnasium in Incheon on Tuesday, featured Charlie Puth as a major headliner. He was visiting Korea for the first time for a pair of upcoming concerts this week. 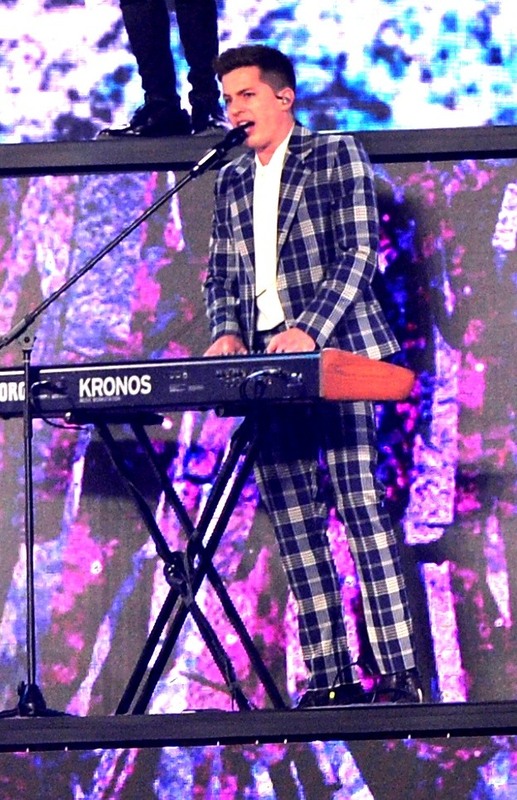 As the award-winning singer-songwriter performed one of his biggest hits, "We Don't Talk Anymore," BTS' Jungkook made a surprise appearance on the stage. Amid ear-splitting screams, the two vocalists made a perfect harmony, exploding their emotions with the relentless eye contact between them. It was a very meaningful moment for Jungkook, as he had previously covered the song. After the performance, Jungkook said, "If I hadn't covered the song, today's event wouldn't have happened. I think I did a good job back then, come to think of it. "He has been one of my favorite musicians and I always wanted to perform together, and it's my great honor today to be with him." Jungkook then asked Puth how he felt about being on the stage. Overwhelmed and excited, he answered, "This is absolutely insane. I've never experienced anything like this, and it's really cool." Jungkook went on to tell his collaborator that his favorite song from him was "We Don't Talk Anymore," and asked him, "What's your favorite BTS song?" Immediately after he answered "Fake Love," the rest of BTS joined them to perform the hit that had reached No. 10 on Billboard’s Hot 100 US chart, sending fans into a frenzy. 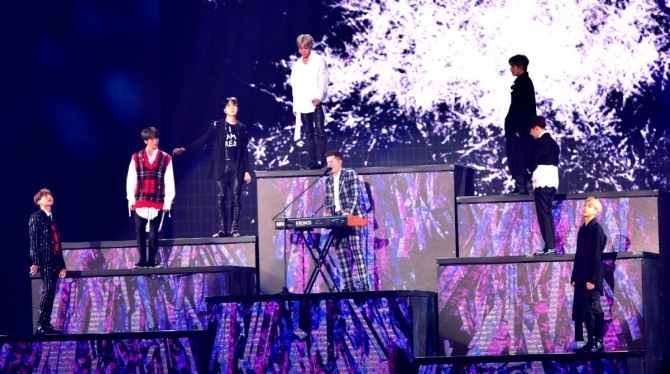 The seven-piece act is scheduled to perform 17 concerts at eight cities across Asia: Tokyo, Osaka, Nagoya and Fukuoka in Japan, Taoyuan in Taiwan, Bangkok in Thailand, Singapore and Hong Kong. Puth will stage two concerts at Seoul’s Jamsil Stadium on Wednesday and Thursday.